CEMVO Scotland has organised a series of events to develop an Ethnic Minority Womens Network. Establish a mechanism where a the network can be a strategic voice that can feed into the Scottish Government and other key decision makers around policy and issues affecting Ethnic Minority Women. 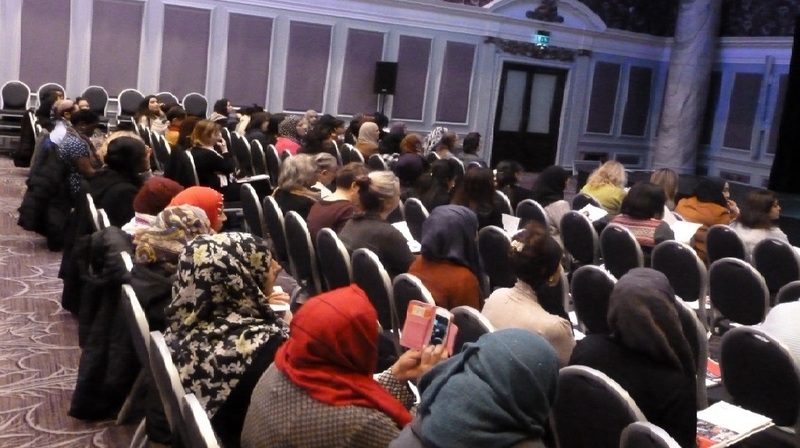 Through various workshop discussions the main outcome of the events so far has been to look at the development of an Ethnic Minority Professional Women’s Network for mentoring, peer support, capacity building, training and influencing workforce policies and practices – such as increasing the number of Ethnic minority women in senior management roles with the public sector. One of the events to date focused on employability issues affecting ethnic minority women. The Scottish Government Equality Unit and Employability Team took part in the workshops with the aim of feeding into employability policies and strategies, and thus, the process ensured that ethnic minority women contributed to the development of national policy. A further event was organised with the Scottish Government Violence Against Women Unit to focus on the delivery plan for the ‘Equally Safe’ strategy, which was re-drafted following a public consultation. The event provided a “voice” that was absent from ethnic minority women to feed into the delivery plan, and further demonstrating the need for this network to continue and build. The Network to date has had over 300 ethnic minority women participate in various events, and is looking to set up an advisory Forum in 2018. This Advisory Forum would develop the Model and structure of the Network that was chosen by the women from the events.